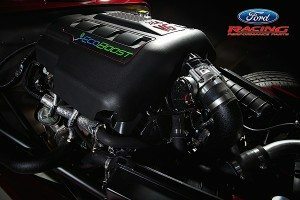 33 Ford EcoBoost – Zoom! Aerodynamic body lines, V8 swaps, removing the stereo and air conditioning. When it comes to going faster in an automobile, there are loads of ways to skin a cat. Hot rods, however, can certainly lose a lot of their personality when such goals are taken into consideration. Which is to say nothing of the annoyances that come with working on decades-old vehicles. Cruising junkyards and fighting critters are not the two most enjoyable things to do, which is why Kit cars have seen such a major growth over the past several years. For customers that want the ease of installation combined with reliability and get-up-and-go, the prime choice has now become Factory Five, the world’s largest manufacturer of build-it-yourself component cars, hot rods, and customs. The company’s 33 Ford EcoBoost coupe brought about much-needed innovation to the hot rod market, utilizing aluminum body panels, a full tube chassis, and made-in-house parts that all came together in one big package to minimize the end user’s legwork. Now comes the news from Ford Racing Performance Parts (FRPP) that the ’33 Ford will now come available with a 3.5-liter EcoBoost V6. Giving builders access to a stout little powerplant that has already seen great success. Such as Blue Oval models like the F-150 and Taurus SHO. With dual turbochargers and direct fuel injection distilled into a small-displacement engine, hot rodders can have their performance/fuel economy cake and eat it too. The selected motor was the 3.5-liter V6, a twin-turbo mill that debuted in 2009 in such models as the Ford Flex and Taurus SHO, as well as the Lincoln MKS and MKT. 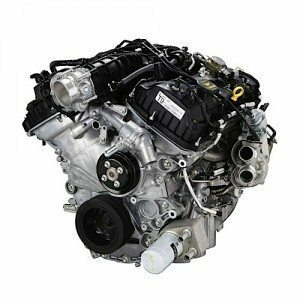 Commanding a healthy 365 horsepower and 350 pound-feet of torque, the EcoBoost could hold its own against larger, more thirsty V8s, while also maintaining a respectable fuel economy rating. 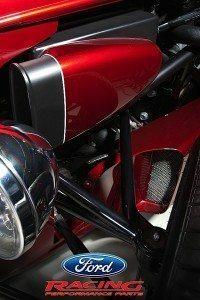 The one used in the ’33 roadster is sourced from the F-150 and has the same horsepower rating but an additional 70 pound-feet of torque, for a total of 420. Taking into account that the roadster itself weighs in at 2,300-2,500 pounds, enthusiasts should have no trouble at all choosing the EcoBoost over say, the Boss 302 or 427 V8s. Factory Five’s president, David Smith, was pleased as punch to see what the six-cylinder did to the hot rod, and had quite a bit to comment on regarding the car’s enhancements with the new powertrain. “When we first shipped our kit over Ford Racing, we were pretty excited to see what all the EcoBoost could offer,” he said. 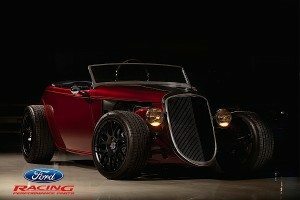 As a model that began back in 2008, the ’33 Ford has become a versatile creation that can come in several different configurations: roadster, hardtop coupe, “bike” fenders, regular fenders, full fenders, and with or without running boards. Customers seeking to get their own ’33 Ford can select from a Stage 1, Stage 2, or Complete Kit. Step 1 includes the chassis and suspension parts, while Stage 2 includes the body, interior, and trim to provide the finishing touch. Both cost $9,990 each but can be ordered together as the Complete Kit for $19,990. Wheels, tires, drivetrain, and paint are left to the customer to supply. Forced induction, light weight, and a smooth ride–could a Factory Five 33 Ford EcoBoost Roadster have a place in your garage? Go ahead and check out the company’s website, and be sure to stop by the Ford Racing Facebook page for announcements, videos, events, and more.